Letitia "Tish" Jackson is a native Bastrop, LA. 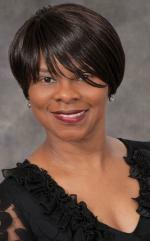 She is a 1983 graduate of Southern University with nearly 30 years of broadcasting experience. She's currently serves as an Advertising Executive of Salt of the Earth and Martin Broadcasting, Inc. since 1995. Ms. Jackson also serves as the morning show host for KWWJ Radio/Baytown, Houston. Her show "Wings of Faith" has been rated one of the top gospel programs in the country. Jackson is founder/owner of LMJ Productions/Media and chairman of the "Wings of Faith" Foundation, Inc. a 501(C) 3 organization. Jackson is a life member of Delta Sigma Theta Soroity, Inc. and member of the Association of Radio Broadcasters and Minority of Women in broadcasting. She adops children daily through her radio program. They are known as "Tish Angels". If you have a Birthday or Anniversary request, fill in the form below. "TISH" - Adopts children daily through her radio program. They are known as " TISH ANGELS"
"TISH" - Also is an instructor and teacher in Houston.